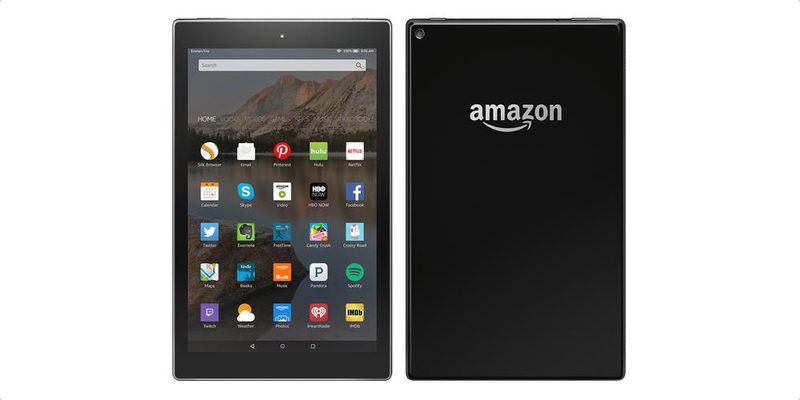 A press render of Amazon’s upcoming 10-inch Kindle Fire tablet has been leaked ahead of its alleged launch. Although we’re light on specs, the renders show the (rather uninspiring) design of the next Kindle Fire. The image comes from well-known and usually reliable leaker, Evan Blass on Twitter. From the renders, it appears the next Kindle Fire will have a completely flat front and back, with a slightly more angled, metallic frame around the edges. We can just about make out the power/sleep key on the top edge as well as the front and rear camera. Amazon’s branding is expectedly prominent, although the software is a completely different story. If the render is accurate, it looks like Amazon’s new software will be much more in line with standard Android. Or, at the very list, Amazon software disguised as standard Android. Whatever the software is, it’s a far cry from Amazon’s previous efforts. 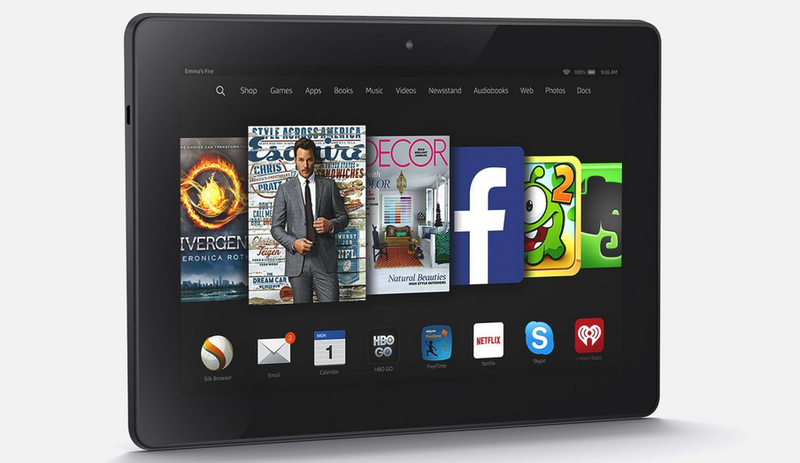 Previous Kindle Fire tablets have featured a cover flow-like user interface, pushing Amazon apps and content to the forefront, similar to the UI found on the Amazon Fire TV and Stick. If Evan’s leak is anything close to the finished product (which it normally is), it’ll certainly make a refreshing change from a user experience perspective.It almost certainly has something to do with having fewer staff to work on skins after the job cuts recently. Perhaps it’s a lesson learned by Amazon after the catastrophic failure that was the Fire Phone. A shift to a more familiar UI will surely make the product less confusing to regular consumers. We don’t yet have a release date, price or specs for the 10-inch tablet, but there have been rumors of a $50 6-inch model which is expected to hit the market in time for the holiday season. Both tablets will likely be announced and released at the same time to take advantage of the busy Q4 shipping period. The Nest Learning Thermostat (2nd generation) for $199 shipped. That’s $50 below list and the best price we’ve ever seen. You can find it at Amazon, Best Buy, Lowes and Abt for $199 for a limited time. The Dropcam Wireless HD Video Monitoring Camera can be found for $99.99 with free shipping. That’s $50 below list and the lowest price we have ever seen on this cloud-based camera/recording system. Available for $$99 ($50 off) at Amazon and Best Buy. With a 107° degree field of view and 4x zoom, Dropcam keeps you connected with people, places and pets in sharp 720p HD video. 60 Second Setup – Use your computer to find your Wi-Fi network, live stream in under a minute. High Quality Video – Get into the details with 720p high-definition video. Fast and easy setup – online and securely streaming 720p HD video in 60 seconds. Field of View – 107 degrees diagonal, plus Night Vision and Zoom, means you don’t miss a thing. Cloud Video Recording (CVR) – Review footage and make clips with optional secure offsite recording. It seems that Amazon is finally throwing in the towel with its Fire Phone. After the hype leading up to its launch, Fire Phone has been struggling to stay afloat. It’s best to think of the Fire Phone as a smaller version of a Kindle Fire tablet, but with a few extra gimmicks and features thrown in along with a free year of Amazon Prime.